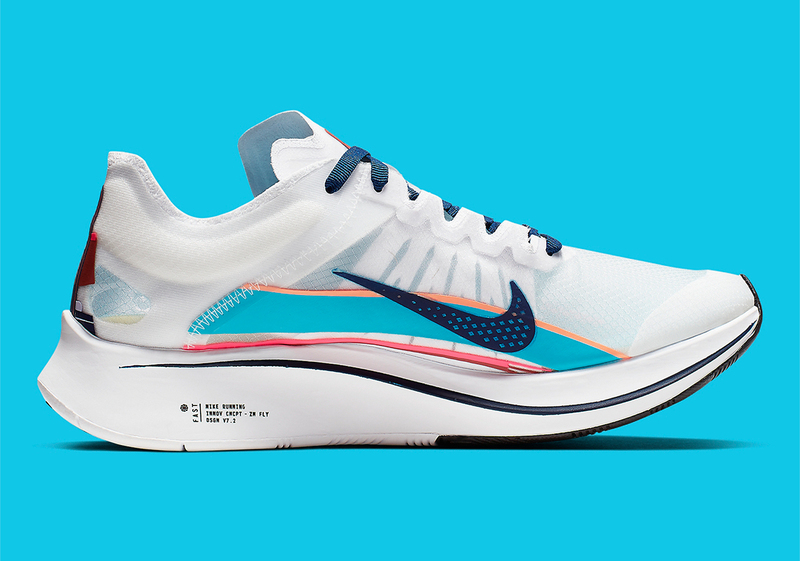 The prized Nike Zoom Fly SP stands out for its translucent upper. 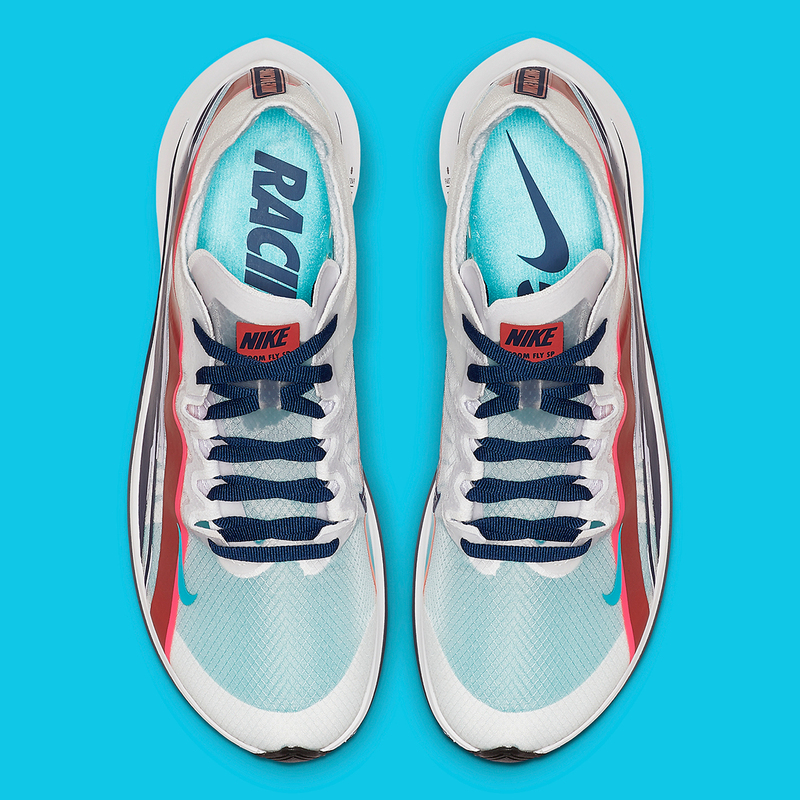 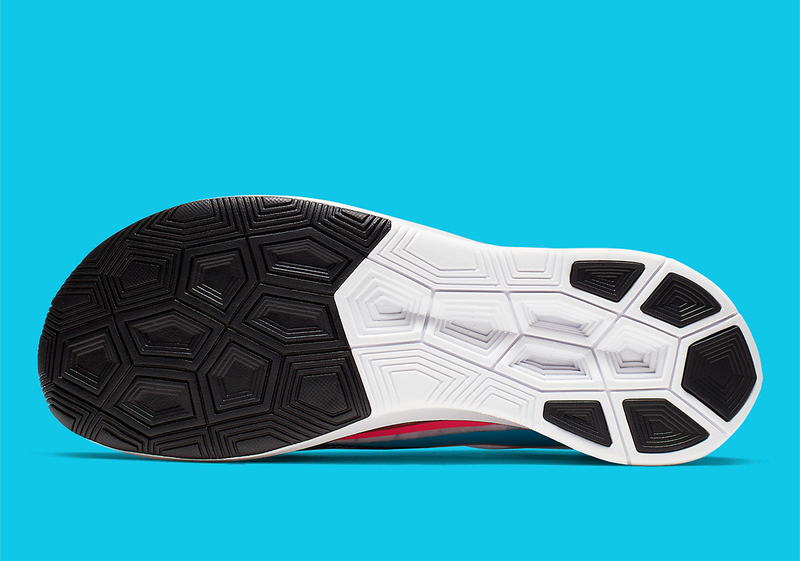 Now, Nike is adding some graphic stylings to actually hide some of the see-through shell. 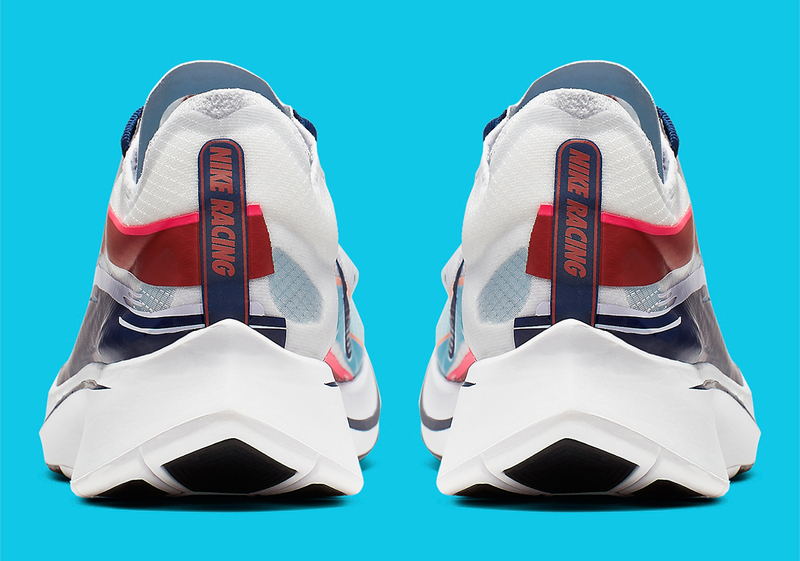 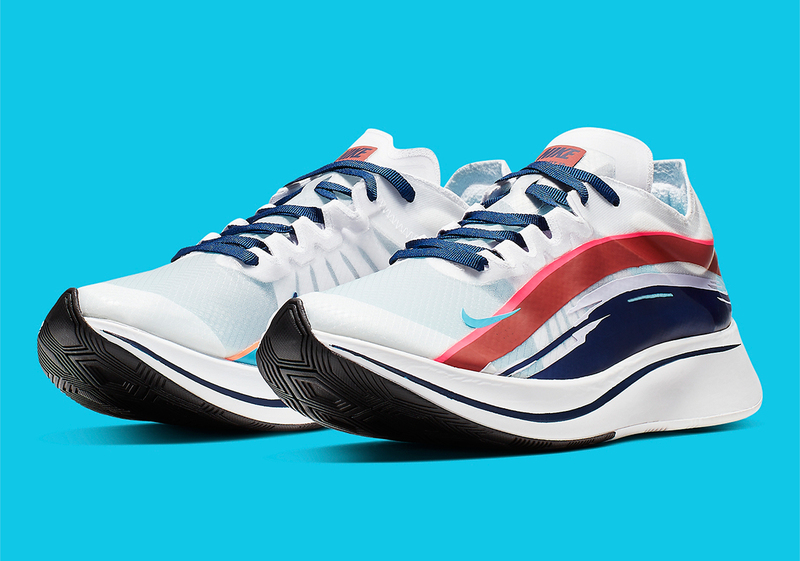 This upcoming Spring release for women sees the lightweight runner get some agressive paint-streak detailing on the medial and lateral sides, with a mix of Parra-esque maroon, pink, blue, and a light peach tone adding a colorful profile to the basic white upper and midsole. 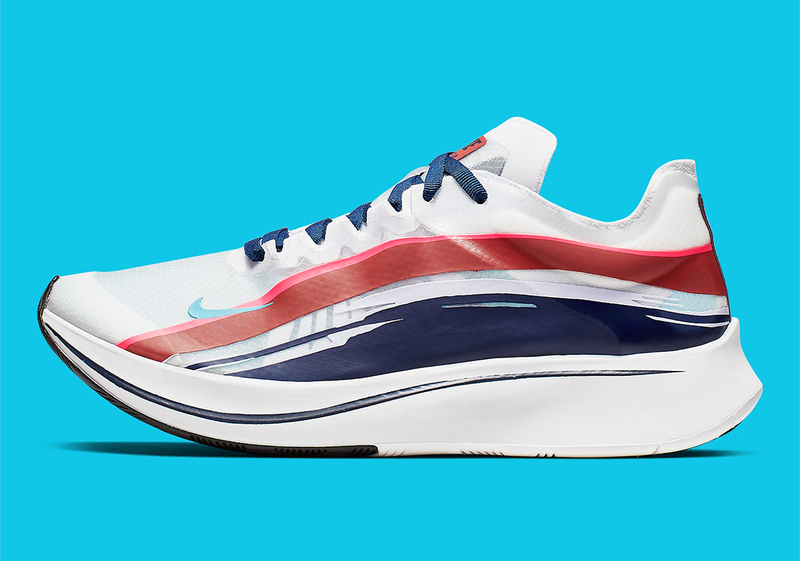 Expected to release on March 1st, this Zoom Fly SP will be available at Nike running shops for $150.